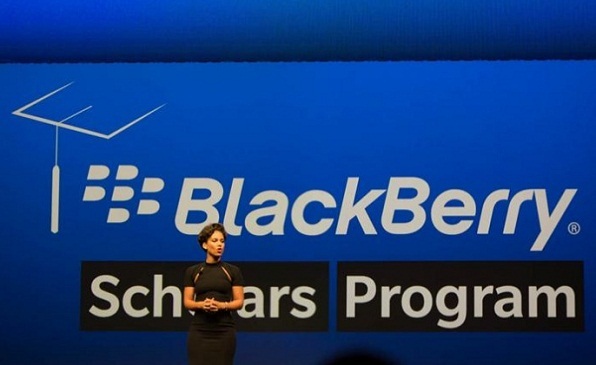 BlackBerry is reaching out to women in Nigeria to urge them to apply for the new BlackBerry Scholars Programme, an initiative designed to inspire women globally to enter and develop careers in the fields of science, technology, engineering and mathematics. The BlackBerry Scholars Programme is available to female undergraduates in Nigeria and will provide scholarships to outstanding applicants who are seeking degrees at accredited local colleges and universities in the areas of STEM across Nigeria. The scholars will be selected by a panel of inspirational and accomplished women, led by Alicia Keys, who will recruit candidates based on their academic merit and passion for entering the mobile computing industry. This scholarship program is the first step in BlackBerry’s long-term commitment and multi-tiered strategy to engage young women at every step of their education from secondary school to university, and as they rise through their careers. As more than 55 per cent of BlackBerry customers are women, BlackBerry aims to champion this generation of female leaders as they strive to achieve their ambitions in this highly competitive industry. Applicants must not have ever been convicted of a crime or have acted in a manner that will bring BlackBerry into disrepute, in BlackBerry’s sole discretion. Click Here to Visit and Like our Facebook Page or follow us on TWITTER (@scholarshipNG) for prompt updates on more opportunities. 2013/2014 NLNG UNDERGRADUATE SCHOLARSHIP SCHEME.